Jerrod Cook from Mississippi had been thinking about bottling his home brewed barbecue mardinade sauces for a while. There's a lot to putting barbecue sauces on the market, but he has made his first run and the first bottles of Wild n Mild are out including a milder version and a hotter version. 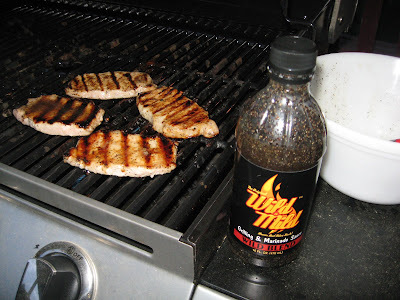 We decided to break out some boneless pork tenderloin chops and try out the hot Wild n Mild. Before putting the pork chops on the grill, we let them marinate in the Wild n Mild sauce a while. Then we used my basic pork chop grilling tips and started cooking the chops. While Wild n Mild is a thin type sauce, more of what we call a mop in North Carolina, so it can be brushed on every time the meat is turned. This helps keep the meat moist which can be a problem for some people when cooking cuts like pork and also adds flavor. When cooking on a gas grill as we were doing, the extra flavor is important, since gas not provide that charcoal or wood smoked flavor. Marinades and sauces are the key. 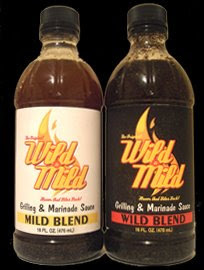 Wild n Mild looks darker in the bottle than it does when added to the food. It's a medium toned color with darker spices and seasonings. 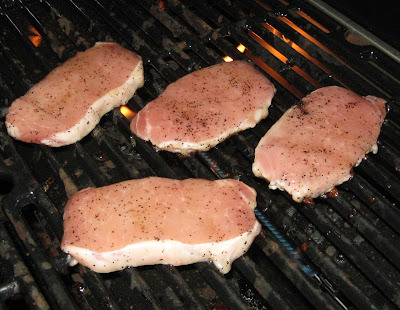 As it cooks, it blends with the meat even with lighter colored meats like the pork chops. 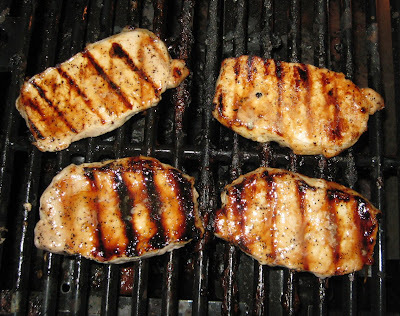 The sauce also makes for some very pretty grill marks as it sears to the meat. The pork tenderloin chops cooked up very pretty. They were moist and had a lot of flavor. The flavor of the sauce is unlike any I've tried before. We all decided that it had kind of an Asian flavor. In fact, I think it would work very nicely with a stir fry as well or as a splash for grilled vegetables. Next time, I think we'll marinate some sirloin beef chunks for grilled kabobs. I could see this working well with beef and veggies. It could also be interesting on our grilled pineapple. We usually go with a sweet wipe for pineapple, and I think this sauce is sweet enough to work with pineapple. We wish Jerrod all the best with his new Wild n Mild sauces. He has a different product, so if you're tired of the same old thing, this is a chance to check out something different. He has some interesting recipes on his new web site including one for venison. Now I'm wondering if any of the hunters have any extra venison. Yum. That sounds really good. I think this would be a nice flavor with deer too.